Decapeptyl is a type of gonadotropin-releasing hormone agonist fertility medication. 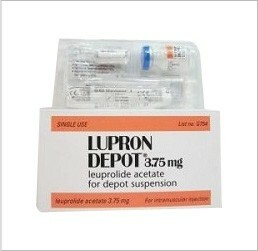 Decapeptyl contains the active ingredient called triptorelin, which is a type of gonadorelin and is most often prescribed for those with fibroid issues or endometriosis. It is also used for premature puberty in girls, and in treating prostate cancer that has advanced locally or spread. 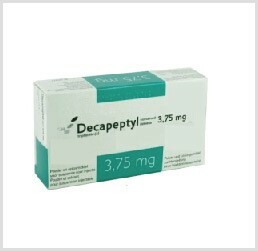 Decapeptyl is one of many high quality infertility medications offered by IVFPrescriptions. 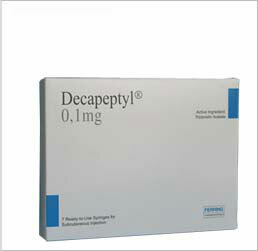 Of the infertility drugs on the market, Decapeptyl has a successful track record resulting in pregnancy. Decapeptyl is indicated for patients who have been having difficulty in maintaining a pregnancy, or in becoming pregnant. Decapeptyl is one of many IVF meds that are indicated for use in treating infertility, often in combination with other IVF drugs. Because we offer only the top branded IVF medications we are able to help you save on the Decapeptyl price, over most others in the same market. Decapeptyl, used as part of the overall IVF treatment, and in conjunction with other ivf drugs, can have one or more side effects. Most women only experience mild dizziness or visual impairments. Vaginal bleeding, or irregular menstruation, irritation at the injection site, sweating, decreased sexual drive, headaches, mood swings, digesting upset, vomiting, insomnia, oedema, lowered bone density, muscle and joint pain, high blood pressure, are all signs of a more serious nature. If this happens, call your doctor or get medical attention immediately.